The Resorts Casino app is one of the most popular with New Jersey residents. What makes it so popular? In this article, we will explore the reasons why so many have downloaded the Resorts mobile app and how you can join in with the fun. What Games Can You Play With The Resorts Casino App? Resorts Casino App: What’s The Verdict? What can you get with the Resorts real money casino app? Well, it’s nice to see that the Resorts Casino app is available on both Android and Apple devices. Some online casinos don’t offer both options, but the Resorts gambling app caters for most mobile players. You can claim your welcome bonus of 100% up to $1000 using the Resorts Casino app. Sign up and complete the relevant terms and conditions to qualify. There are more bonus opportunities for you via the Resorts money gambling app. Enjoy a variety of Daily Games, which, in total, pay out up to $3,000,000. You can also play Mega Jackpot games, earn rewards and become a VIP member all through the Resorts free casino app. Resorts give the option to fund your betting account no matter where you are. You can make deposits and withdrawals at the Resorts mobile casino, in exactly the same way as you would on your desktop. Having difficulty making deposits with the Resorts Casino app? You can contact the customer support team. They offer 24-hour customer service, with email, telephone and Live Chat your options. All are available through the Resorts Casino game app. The Resorts Casino app contains over 470 games. Your options with the Resorts real money casino app include some of the most popular table games and jackpot slots available online. There is a vast range of table games you can play with the Resorts Casino app. Classics like Blackjack, Roulette and Poker are available, along with plenty of variations of each. Slots, including jackpot slots, are available with the Resorts mobile casino app. Find your jackpot options under the Featured tab. The Resorts gambling app gives you access to Live Dealer tables. 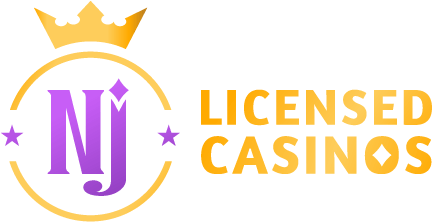 Play Live Blackjack, Roulette, Baccarat and Poker games, available from 11:00 to 03:00 every day. As we mentioned earlier, you can qualify for your 100% welcome bonus with the Resorts Casino app. Download the Resorts gambling app on any Android or Apple device to get started. This offer gives you 100% up to $1000. In other words, Resorts Casino will match your first deposit, and award it as bonus funds. This offer comes with quite harsh wagering requirements which you’ll need to meet before you can make a withdrawal using the Resorts money gambling app. Different games have different wagering requirements. With Slots, there is a 30x wagering requirement attached. Video Poker, Roulette and all other table games have a 150x wagering requirement applicable. Once all requirements have been met, winnings made from bonus funds will be withdrawable with the Resorts money gambling app. There are t’s and c’s attached to this offer. Ensure you read and understand the fine print before you begin the registration process with your Resorts real money casino app. The Resorts money gambling app also gives you access to the $3 million Daily Games promotion. Each day, you’ll be given one free spin on the giveaway. If you don’t hit the Jackpot, there are still plenty of opportunities to win bonus funds and other prizes. There are a number of other promotions available using your Resorts Casino app. You can become a VIP and take advantage of many special bonus opportunities. There are also chances to earn Reward upgrades, as well as take part in cash giveaways. Those of you who have already signed up here can download the Resorts mobile casino app straight away. If you’ve not completed the sign-up process, you can register with the Resorts free casino app. You can download the app directly from the Resorts website. Visit the site with your mobile browser. Hit the relevant links to download and install the Resorts real money casino app on your Android or iOS operating system. If you have an iOS device, you can also download the Resorts money gambling app from the App Store. Resorts real money casino app users must be at least 21 years of age. You can download the Resorts free casino app no matter where in the United States you are, but you must be within the boundaries of New Jersey to play. When the app has been installed, you can begin the sign-up process. Open the Resorts Casino game app and click on Join Now. The registration form will only take a minute or two to complete. Once you’re done, you can begin to claim your welcome bonus and play any of the vast number of games available here. You can download the Resorts gambling app on any iOS or Android device. Specifications don’t advise which version is required, but it’s best to update the software to the latest version for a smoother experience. If you’re downloading the Resorts money gambling app on an Android device, make sure you activate Unknown Sources. Google Play doesn’t allow the presence of any gambling applications on its store. It’s expected that more payment options will be added to the Resorts website in the near future. Minimum deposit amounts differ from method to method, so check the t’s and c’s before you transfer funds. Withdrawal waiting times also vary. The methods we’ve listed above, as well as those due to be introduced shortly, can be used with your Resorts Casino game app. If you encounter any issues with the Resorts Casino app, there are many ways in which you can contact the customer service team. Your customer service options are available 24 hours a day. Contact menu for the details. You have the ability to upload documents that may be requested via email. We’re happy with what the Resorts mobile casino app offers. The main plus point is that you have access to all parts of your account anywhere in New Jersey. It’s important that your operating system is running at the latest version though to ensure a smooth and seamless experience. Remember, new customers can claim a welcome bonus of a 100% deposit match up to $1000. You can qualify for this offer with your Resorts free casino app.